NOT A LOT OF PEOPLE KNOW THAT | “We do not believe any group of men adequate enough or wise enough to operate without scrutiny or without criticism. We know that the only way to avoid error is to detect it, that the only way to detect it is to be free to inquire. We know that in secrecy error undetected will flourish and subvert”. – J Robert Oppenheimer. 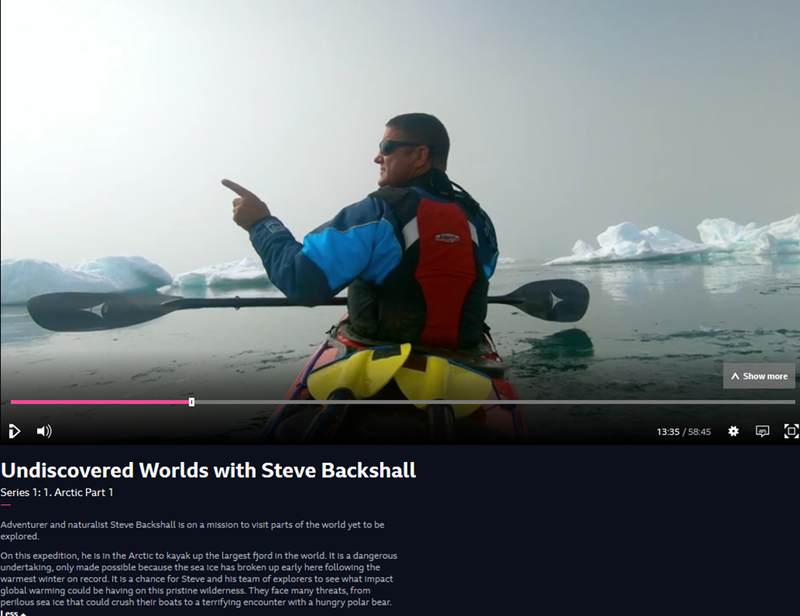 The BBC has just launched its Undiscovered Worlds series, with the intrepid Steve Backshall kayaking up the Scoresby Sund , the world’s largest fjord in Greenland. Adventurer and naturalist Steve Backshall is on a mission to visit parts of the world yet to be explored. I was filming Undiscovered Worlds, a BBC documentary airing on Easter Sunday, along with presenter Steve Backshall. We kayaked up the Scoresby Sund in Greenland, the world’s largest fjord, surveying the damage inflicted by climate change, which is melting the region’s ice and destroying habitats for local wildlife. The sea ice around Greenland is following the same trend seen all across the Arctic, shrinking in size and melting earlier in the year, depriving polar bears of their prime hunting habitat and making their behaviour less predictable. Indeed, paddling as far as we could into this beautiful country, it was clear that the situation was more grave than we had realised, and the fjord – which would usually have been covered with sea ice at that time of year – was a pale imitation of itself. In normal years, it would have been full of breathing holes for seals, and local Inuits would have been using dog sleds to propel themselves across. Instead, the ice atop the fjord had melted earlier in the year than ever recorded, and the point where the ice meets the water had receded disturbingly far up the fjord. 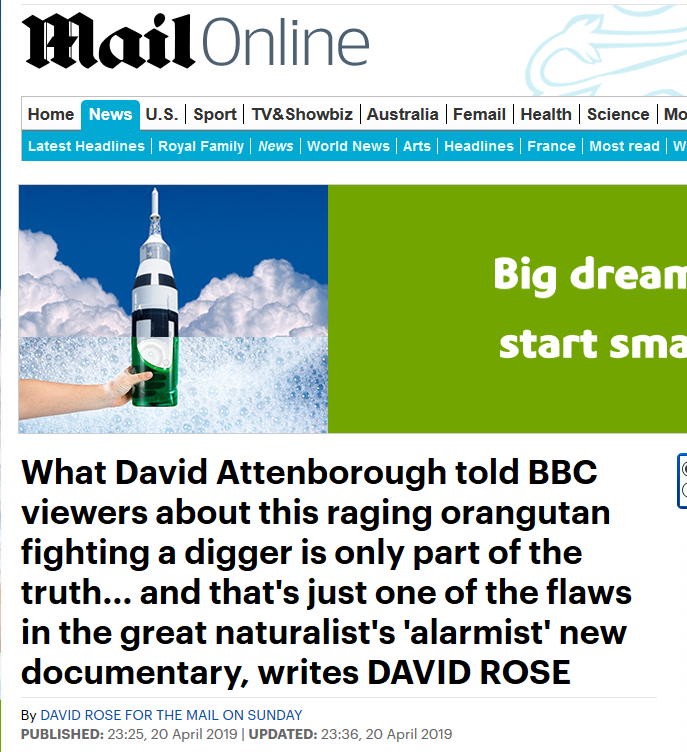 It will come as no surprise to hear that the truth is not quite what the BBC would like you to believe! 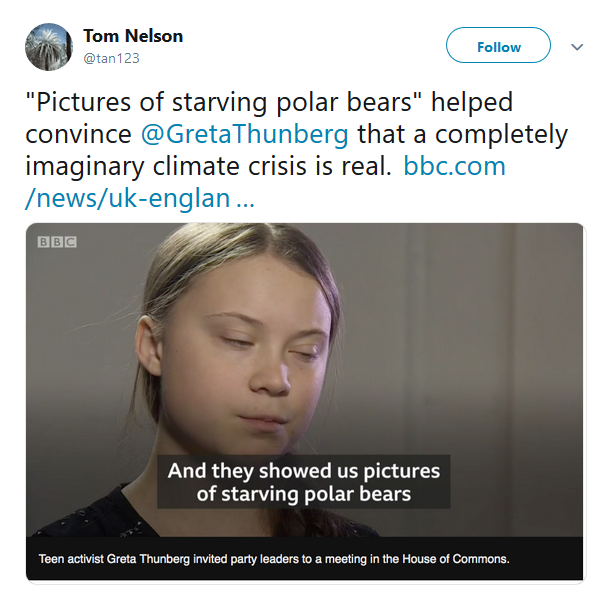 Anyone who doubts that the green movement is morphing into a millenarian cult should take a close look at Greta Thunberg. This poor young woman increasingly looks and sounds like a cult member. The monotone voice. The look of apocalyptic dread in her eyes. The explicit talk of the coming great ‘fire’ that will punish us for our eco-sins. There is something chilling and positively pre-modern about Ms Thunberg. One can imagine her in a sparse wooden church in the Plymouth Colony in the 1600s warning parishioners of the hellfire that will rain upon them if they fail to give up their witches. 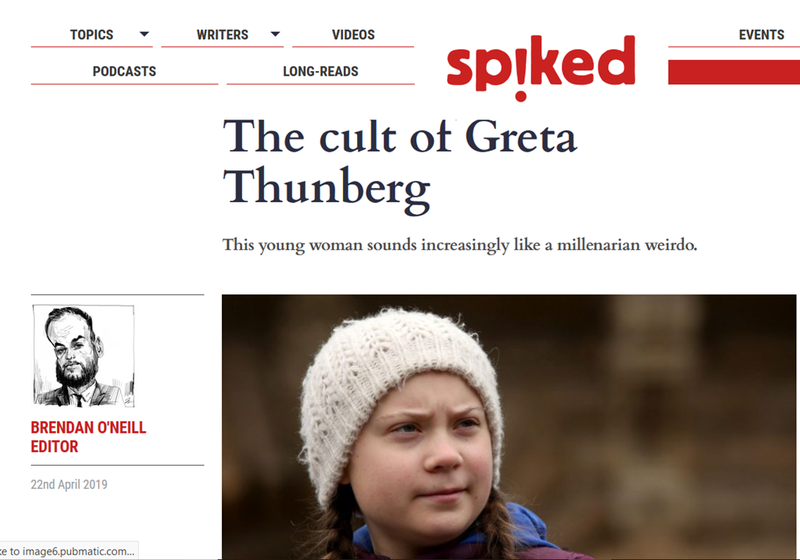 t actually makes sense that Ms Thunberg – a wildly celebrated 16-year-old Swede who founded the climate-strike movement for schoolkids – should sound cultish. 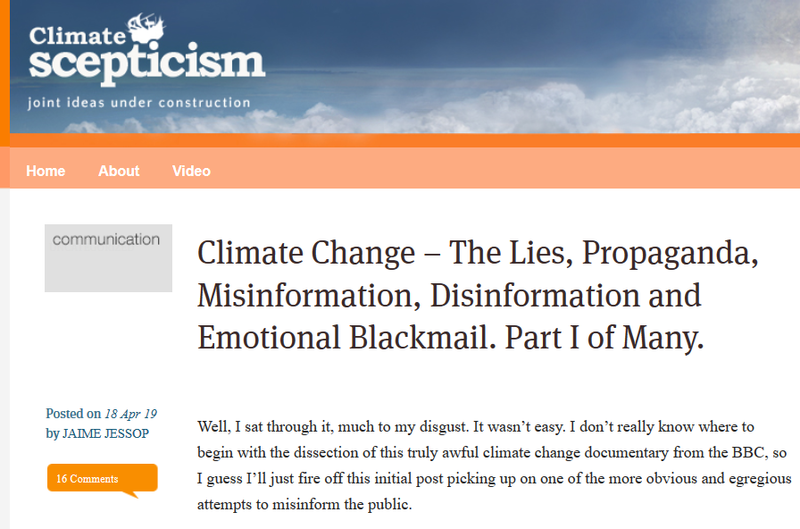 Because climate-change alarmism is becoming ever stranger, borderline religious, obsessed with doomsday prophecies. 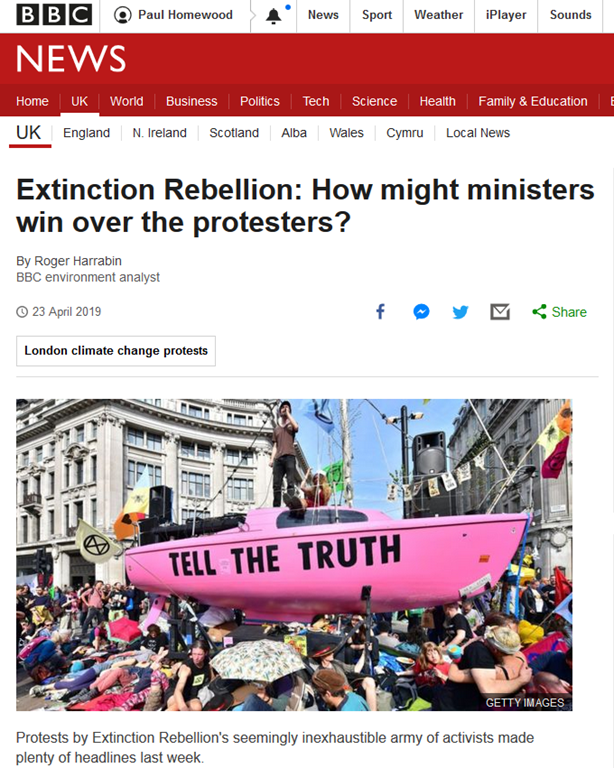 Consider Extinction Rebellion, the latest manifestation of the upper-middle classes’ contempt for industrialisation and progress. It is at times indistinguishable from old fundamentalist movements that warned mankind of the coming End of Days. I followed Extinction Rebellion from Parliament Square to Marble Arch yesterday and what I witnessed was a public display of millenarian fear and bourgeois depression. People did dances of death and waved placards warning of the heat-death of the planet. It felt deeply unnerving. And where did she get this strange idea from? As she relates, her teachers at school told her, when she was about eight. Harrabin is off in the clouds again! Protests by Extinction Rebellion’s seemingly inexhaustible army of activists made plenty of headlines last week. Let’s consider XR’s three core demands: for the government to "tell the truth about climate change", to create a citizens’ assembly to oversee progress, and to reduce carbon emissions to zero by 2025. If Mrs May regularly referred to a "climate crisis" or "climate emergency", that might fulfil their wish that the government should "tell the truth"
The third objective of cutting CO2 emissions to almost zero by 2025 is surely unachievable. So, if not all this, then what? This weekend, I asked environmentalists on Twitter for their suggestions about what ministers can do to show XR they mean business. Here – in no particular order – is my summary of some of the responses, with my own micro-analysis along the way. I’m not quite sure who his environmentalist chums are, but they seem pottier than him judging by their replies, not least because they seem to think their ideas will make the slightest difference, or why ministers should want to convince this tiny motley band of middle class hippies. Should the BBC be employing anybody who even thinks that capitalism should be overthrown? 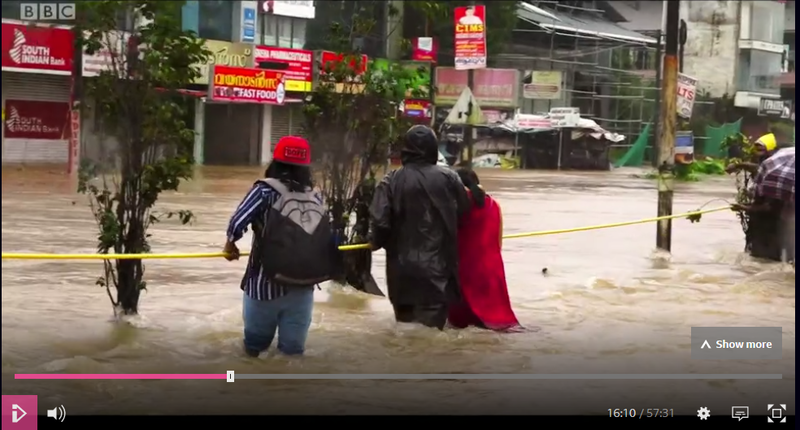 Note as well that although flooding in India and other parts of Asia, this was in comparison to megadroughts in the past. In theory, a warmer atmosphere should be able to hold more moisture, and therefore lead to heavier rainfall. 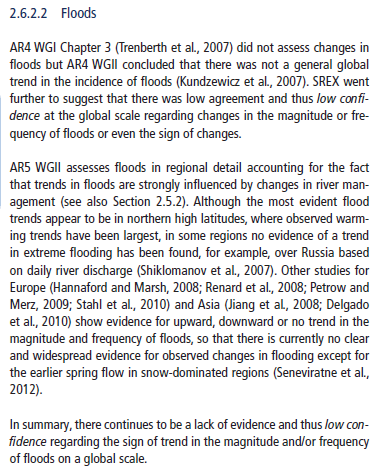 If anything, they argued, flood magnitudes were actually decreasing. 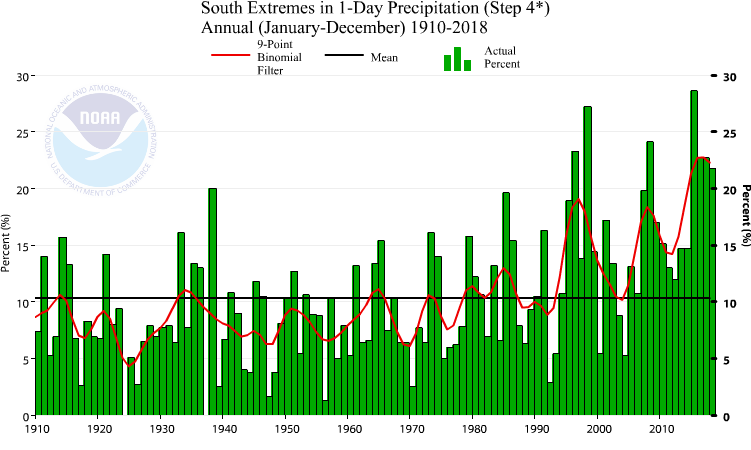 There is one possible explanation not mentioned, and this concerns the definition of “extreme precipitation”, which is only a relative term. In areas that are normally dry, heavy rain is defined as “extreme”, when in reality it simply tops up the water table and fills up the streams. 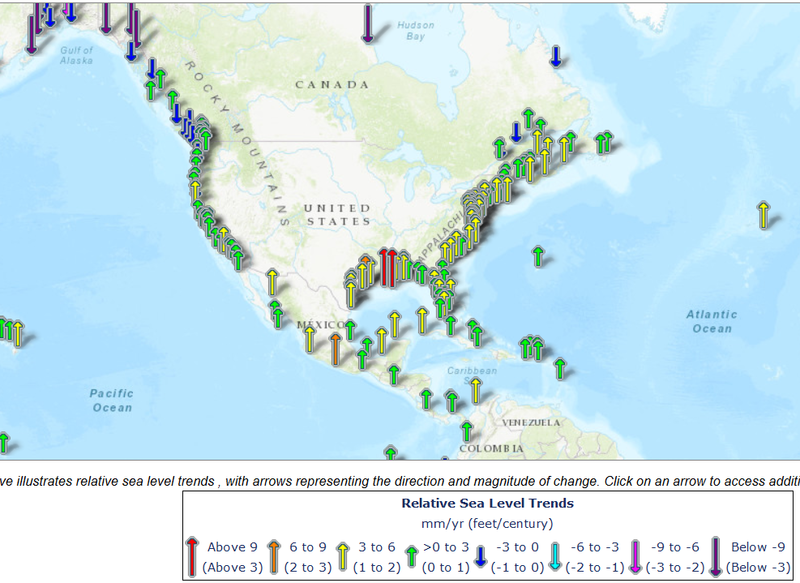 Twice the value of the percentage of the United States with a much greater than normal proportion of precipitation derived from extreme (equivalent to the highest tenth percentile) 1-day precipitation events. But those early years were marked by regular, severe droughts. And extreme rainfall and droughts are simply opposite sides of the same coin. 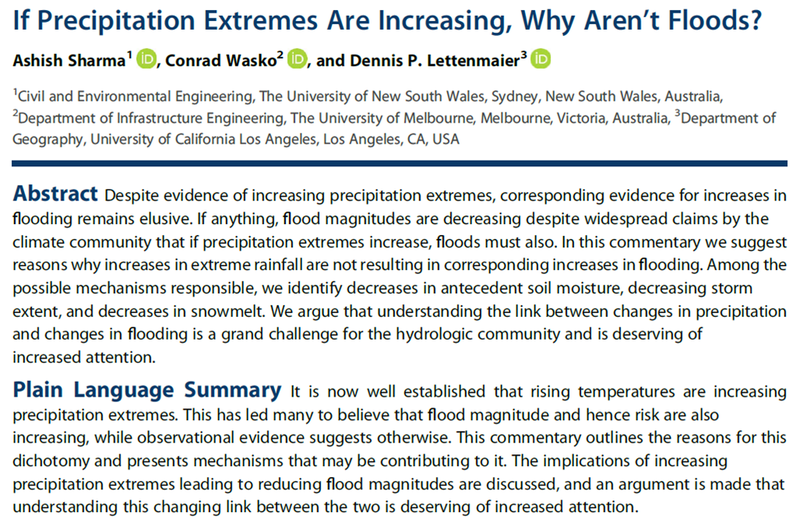 In short, what we call “extreme rainfall” is nothing of the sort, and does not lead to flooding. 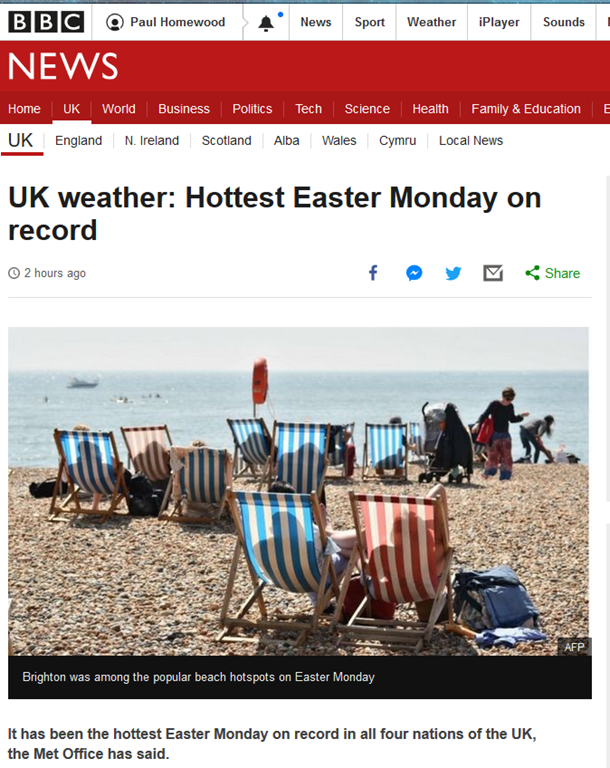 OK, this nonsense might be alright for the Guinness Book of Records, but the BBC know full well it is meaningless, as this Easter is one of the latest on record, with many Easters occurring in March. 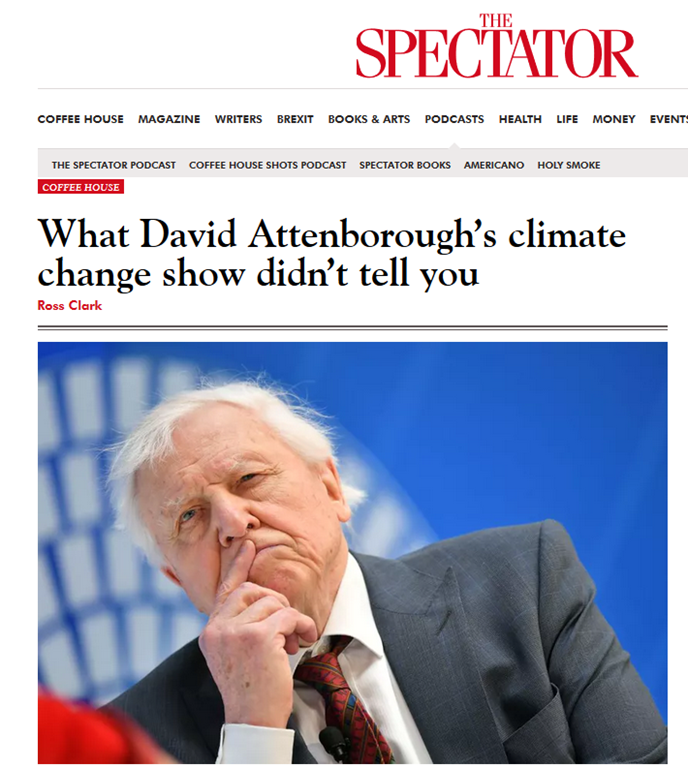 At no stage is this pointed out in any of the reports, which are written deliberately to foster belief in global warming. To put this Easter into perspective, the highest temperature recorded over the weekend was 77.9F at Gosport on Saturday. It was also the hottest day of the month. 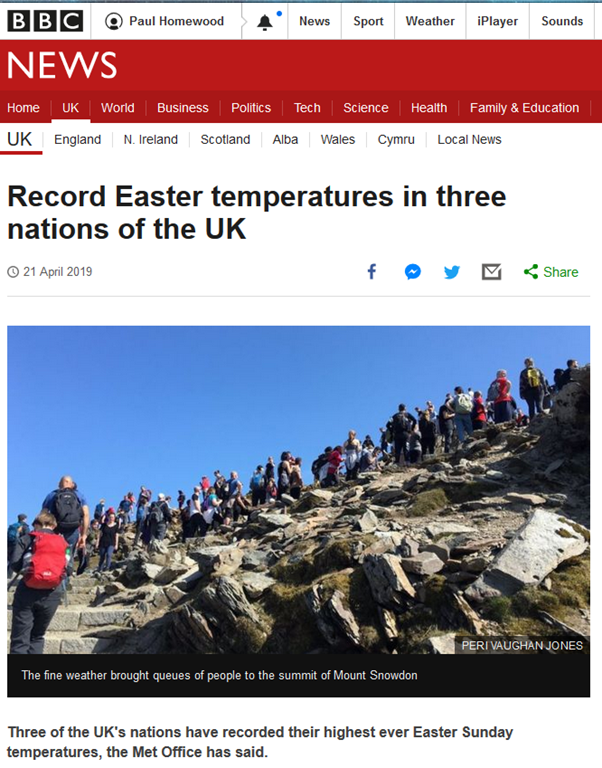 However this was way below the temperature set at Camden on Easter Saturday in 1949 of 85F, which is also the highest April temperature on record in the UK. 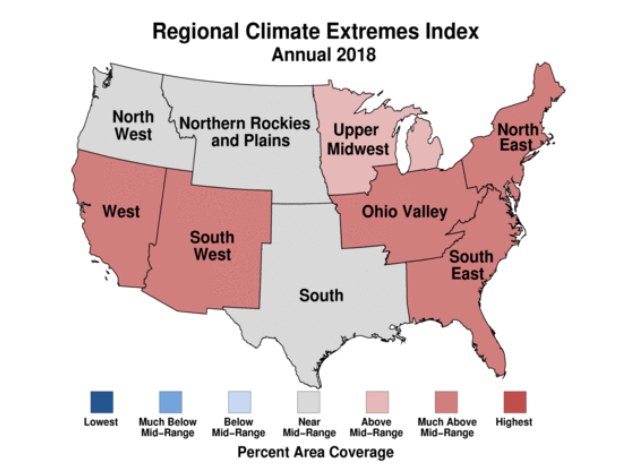 As this week, there was an extended spell of high pressure bringing in winds from the continent, and temperatures reached 84F in Cambridge on the 20th. In short, there is nothing at all remarkable about this week’s weather, despite the BBC’s attempts to persuade us otherwise. Standing beside a windswept junction near Germany’s Baltic coast, Thea Funk points at a stretch of land to the north. Behind her, 30-odd people line the road holding signs bearing anti-wind energy slogans. Residents of the Friedland Moor in northeast Germany, they are convinced their landscape is about to be destroyed for the gain of landowners and energy magnets. 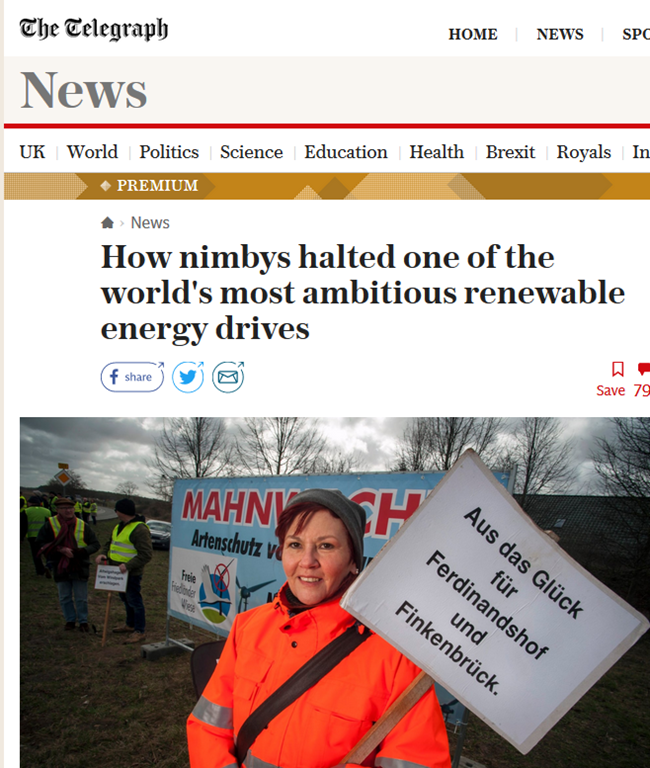 Rural protests against wind farms are increasing in Germany and the effect has been dramatic on the country’s flagship green energy programme. Energiewende, one of the most ambitious state-led policies in the world, is now stalling, with key targets disappearing into the wind. Last year new wind farm projects plummeted by 55 percent as energy companies baulked at the growing number of legal complaints made by restive locals and wildlife funds.